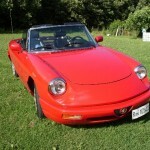 The Alfa Romeo Spider is a roadster produced by the Italian manufacturer Alfa Romeo from 1966 to 1993 . Widely regarded as a design classic, it remained in production for almost three decades with only minor aesthetic and mechanical changes. The three first series were assembled by Pininfarina in Grugliasco and the fourth series in San Giorgio Canavese. The last Spider was produced in April 1993, it was also the last rear wheel drive Alfa Romeo produced before Alfa Romeo 8C Competizione was introduced. The legendary Alfa Romeo Spider Duetto, yes, that has enabled millions of people dream of the 60 to 80 years. The real & unique italian spider two seater, 1600 cc, 109 Hp, 5 gears, the myth yhat is repeated and now gives to all who want to have dreaming experience of a vacancy or weekend with the sky overhead. 8 CYLINDERS V, 4700 CC, 200hp, 4 comfortable seats. Best for Weddings, Ceremonies, Anniversaries and Commercial Events, Advertising Promotions. The Ford Mustang is the dream of young American drivers. Always sold at a competitive price, the Ford Mustang debuted in 1964 in New York still in production today, came to the sixth series. 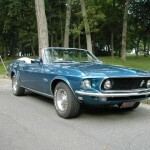 Made as a coupé and convertible, the Mustang has been used in many films: reading the long list include Bullitt, the saga of The Fast and the Furios, Gone in 60 Seconds, and many others. The Beetle has been a Myth in ’60 and ’70, the family car for many people, the Convertible one’s continue today to be a Cult car for art collectors, guest star in many films continue to be in geat demand between collectors. Many people choose to do their wedding in Italy on a beetle convertible, the event in the Tuscany landscape become an unforgetble dream moment.